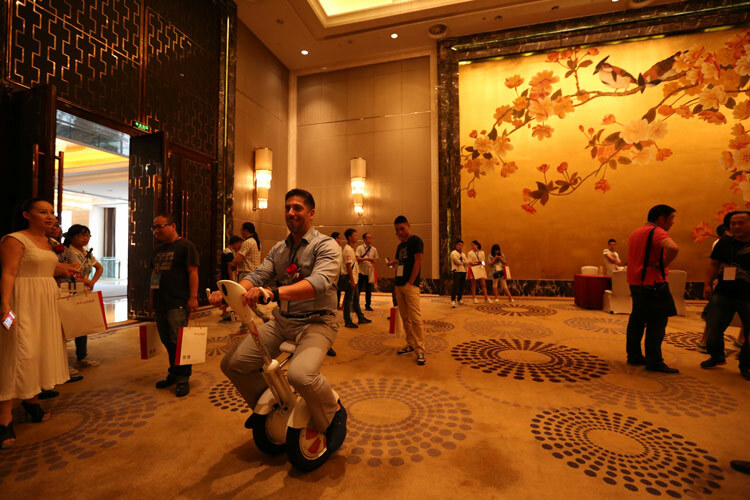 Abstract: Airwheel new product release conference has been attended by distributors, scooter fans and social media. Once again, Airwheel subverts our traditional concepts with two iconic products, S5 and A3. Here is a review of the two products summarized by test riders who have attended the release conference. 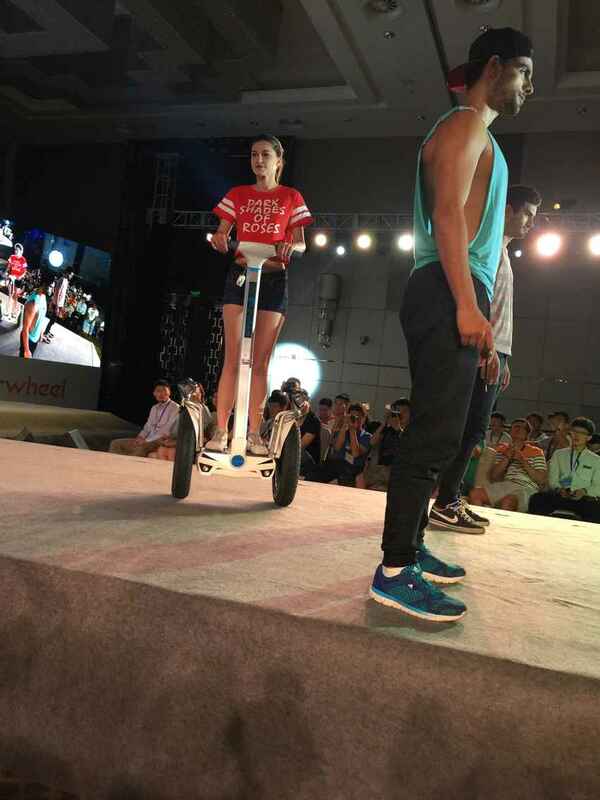 Airwheel new product release conference has been attended by distributors, scooter fans and social media. Once again, Airwheel subverts our traditional concepts with two iconic products, S5 and A3. Intelligent scooter S5 is an upgraded version of S3 and S3T. It appears tougher than any previous scooters. Airwheel S5 is mounted with two quality and large Chen Shin tires. The wheel hub diameter reaches as wide as 495 mm. The large wheels stand for more smooth riding experience. They are robust for different road conditions. A lithium battery with larger capacity and longer life is applied to the device. Long time of riding has been made possible. The tougher appearance might raise your concern over an increasing weight. Will it be too heavy to be moved around? Designers have taken full account of this problem and solved the problem with lighter aluminum alloy materials. The aluminum alloy control shaft is foldable, lighter and yet more durable. Distributors after trying this scooter have boosted confidence in the sales of the new products. It will be widely applied into the areas such as police patrolling, traffic commuting and logistics. Moreover, electric scooter fans call S5 a SUV scooter. Electric self-balancing scooter A3 is a more innovative creature. The dazzling orange color is the best interpretation of fashion. The ergonomic design with a leather saddle has made long distance trip possible. Riders can adopt sitting or standing posture. Riders manipulate the scooter by leaning to different directions. A3 responds to rider’s body movement in less than 0.03 second. An original hydraulic suspension system eases jolts on bumpy roads. The seat on the scooter electric is only 740 mm away from the ground. Even women can touch the ground when seated to achieve driving security and stability. There are also two foldable anti-skidding pedals installed for a comfortable sitting-posture ride. An electric brake system is introduced into the scooter. It is more accurate and safer than mechanical braking control. The two products are not available for sale now. But it has already cause sensational echo from our distributors and scooter fans. Airwheel is about to initiate a new round of green revolution.